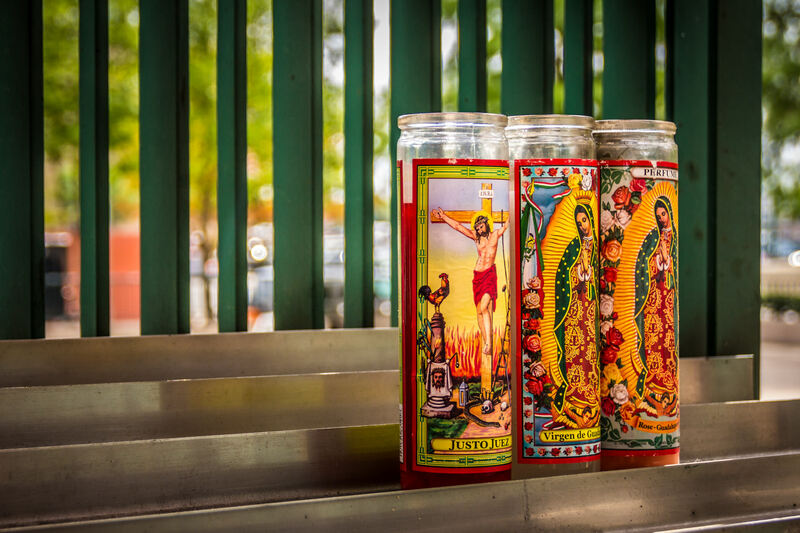 Votive candles outside the Cathedral Shrine of the Virgin of Guadalupe in the Dallas Arts District. 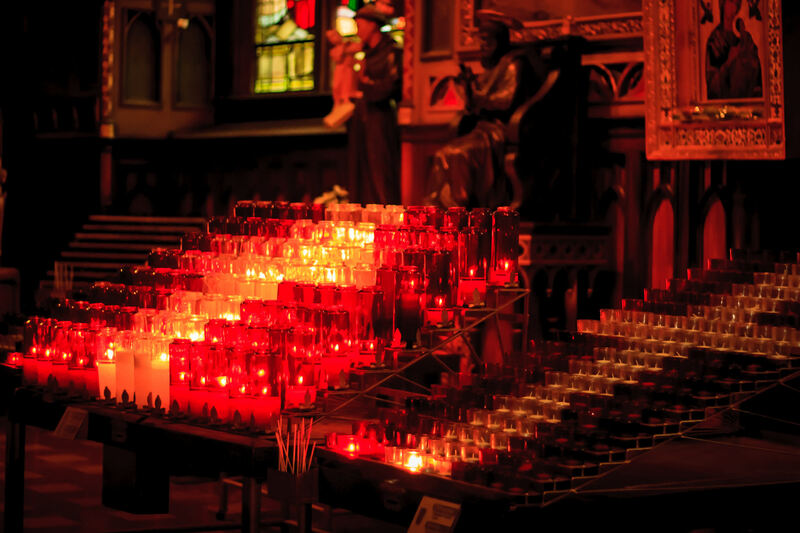 Votive candles at La basilique Notre-Dame de Montréal. 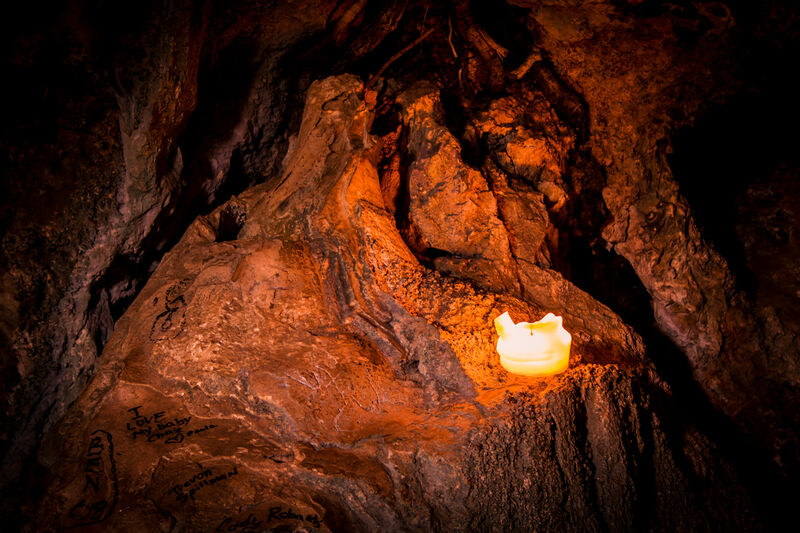 A candle highlights graffiti in a small cave at Turner Falls Park, Oklahoma.